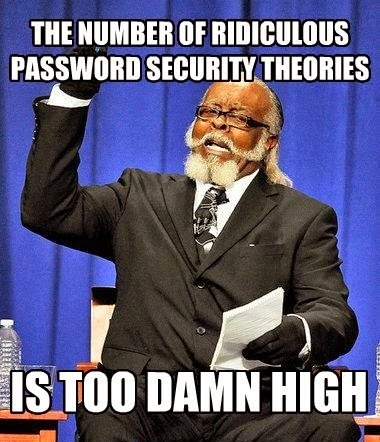 Security Memetics: So Now Reusing Passwords Is A Good Thing? How is anyone supposed to keep things straight in their head when there's so much conflicting (and sometimes down right ridiculous) advice out there. Like the idea that reusing passwords for low value sites is a good thing despite the obvious problem that most people wouldn't know how to tell a high value site from a low value one. Sometimes I think people arrive at their security conclusions first and then search for ways to support them.